In the United States, the use of cannabis for medical purposes is legal in 33 states. Most Californians won't see recreational pot shops in their neighborhoods soon. 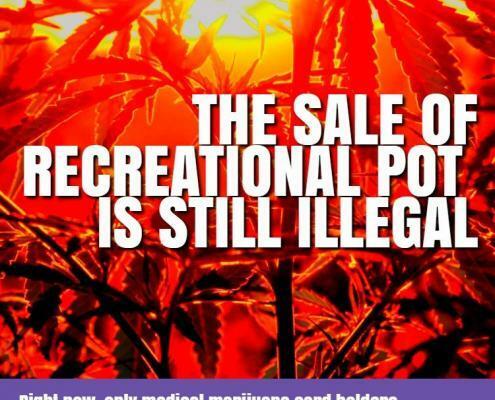 https://mmjdoctor.com/wp-content/uploads/2017/11/The-sale-of-recreational-use-marijuana-is-still-illegal-WEBOPTIMIZED.jpg 750 750 admin https://mmjdoctor.com/wp-content/uploads/2016/12/mmj-logotype.png admin2017-12-18 18:14:442019-02-07 08:06:21Most Californians won't see recreational pot shops in their neighborhoods soon.